Whether you envision a celebration that is traditional or trend-setting, festive or formal, intimate or grand, our experienced and inspired team will provide you with unlimited options in planning your perfect event. We will work closely with you at every step in the process to create an occasion that reflects your personalities and indulges your senses. Our Catering Guide brings the sophistication of creative, inspired and utterly delicious cuisine along with seamless service and logistical expertise to make your event a truly joyous and memorable celebration. Artistically prepared and beautifully presented menu choices are served with the gracious attention to detail that has genuinely become a hallmark of our team. Our passionate staff brings more than 30 years of experience in designing and delivering perfectly executed events, and we stake our reputation on nothing short of your happiness. Congratulations, and we look forward to helping you journey down the path of creating an event tailored to your unique style, vision and budget. 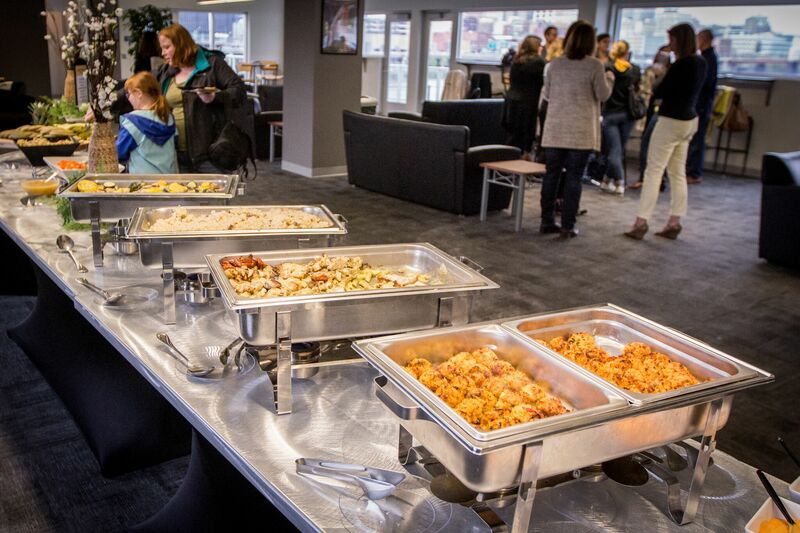 If we can offer you more information, or to make a wedding consultation appointment, please call Abbey Perez at (412) 325-7233 or email her at aperez@highmarkstadium.com.